Like all things in life, dental care is better when you have options. That’s why your dentist in Meriden is happy to offer all-ceramic crowns in addition to traditional crowns. 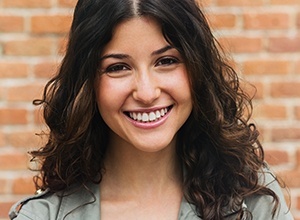 All-ceramic crowns are as sturdy as they are beautiful, and they blend so well with the rest of your smile that you just may forget it’s not your original tooth. A dental crown is a thin covering that is bonded securely over a decayed or damaged tooth. It completely surrounds the damaged structure, remaking the size, shape, and overall appearance of the affected tooth. This is why they are the preferred treatment for teeth that are broken, weak, worn, or severely decayed. They are also used for tooth replacement. When cosmetics are a primary concern, like for the teeth that show when you smile, all-ceramic crowns come to the rescue. Dental ceramic (or porcelain) is a smooth white material that is customizable to the shade of your surrounding tooth enamel. It looks and feels just like your natural teeth, which is why it’s the most aesthetically appealing option in restorative dentistry. Also, because ceramic is a biocompatible material, your gums won’t pull away from your new crown. Gum tissue is able to stay healthy and whole beside an all-ceramic crown. Just like a traditional crown, your all-ceramic crown requires two visits to Meriden Dental Group. The first appointment is reserved for putting your treatment plan in place and taking impressions of your tooth. Your dentist will then prepare the tooth to receive the crown -- a process that involves reshaping the enamel to make room for a new layer to be placed on top. You’ll be given a temporary restoration while your crown is being fabricated. Once the crown is ready, you’ll return to our office for its final placement. Your dentist will remove the temporary and check the fit of the new restoration. After any necessary last-minute adjustments are made, the dental crown will be bonded securely over your tooth. Maintain your good dental hygiene habits to enjoy a healthy crown for years to come. Brush and floss regularly, concentrating on the area at the base of the crown to prevent plaque and tartar buildup. Floss carefully around the crown, making sure not to pull on it. You should also visit your dentist as recommended for regular preventive care. Do you have a tooth in need of repair? Want to make it look like it used to or even better? 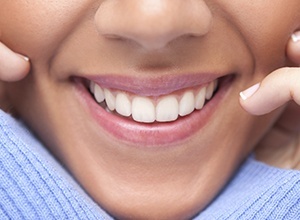 With an all-ceramic crown, we can do just that, so be sure to contact our office for an appointment today.